This list of qualities Jesus says we all should embrace is something most of us have heard before ... maybe many times. And it might be that we are so familiar with this list we call the Beatitudes that we have stopped recognizing how shockingly radical and challenging they are. The formula Jesus gives us for living life is radically different than what the world says will make us happy. 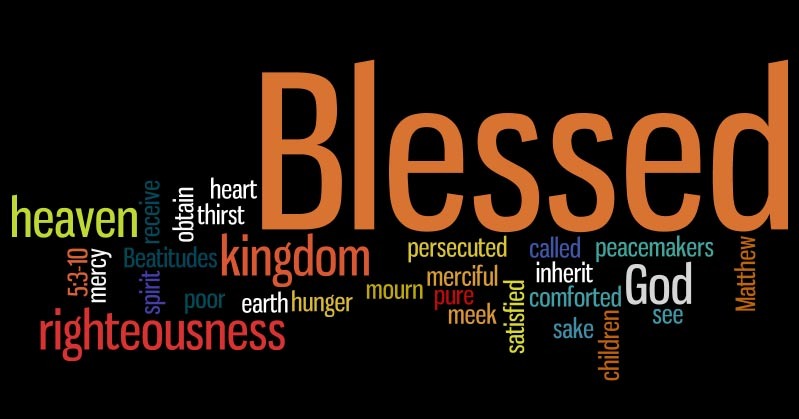 “Blessed” are ... the poor ... the mourners ... the meek ... and ... the persecuted? That sounds kind of strange to our ears; doesn’t it? Our culture says just the opposite, focus on security, on keeping your health. Our culture celebrates the wealthy, famous and the powerful. They are the one’s our culture tells us are the most fortunate and so the happiest. Jesus says today that’s just not true. That’s wrong! If you really want to be happy – blessed – he says live these Beatitudes. He instructs us to embrace this surprising list of traits fully; even though they are completely counter-cultural. Then later in this same speech, he tells us not to worry about the needs of this life. He implies that if we just live these by these values, God will take care of us. The beatitudes Jesus preached about that day are the way he wants us to orient our life. They aren’t things to do at all; they are core qualities that define a person who wishes to live a blessed life. They are the essence, the heart of what it means to be a Christ-follower ... a Christian. Jesus is giving us a formula for living a meaningful and joyful life. The Christian is called to a life that is a paradox; a paradox that says that living a life sensitive to suffering can lead to a joy-filled life. 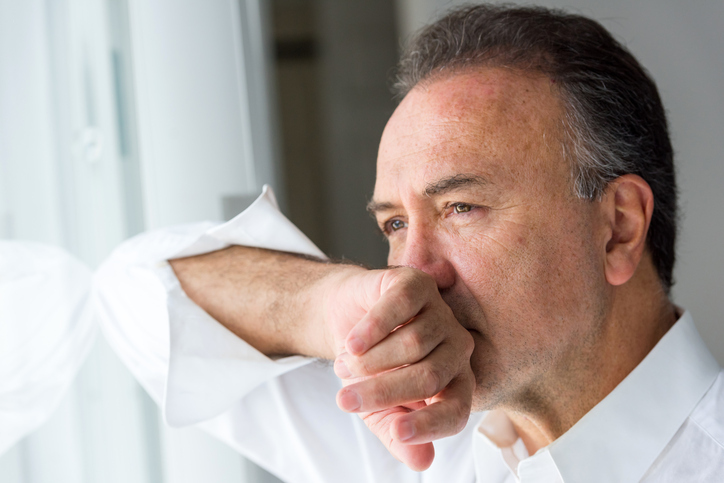 Take the beatitude about mourning, for example, Jesus said those that mourn are blessed. Really? How does that work? We ask. When we hear this Beatitude, we think of those who grieve at the death of a dearly loved family member or friend, or someone suffering some grave injustice. And we interpret what Jesus is saying as: “They will be comforted in this life or the next.” But maybe he is saying something a bit different. Perhaps Jesus is inviting all of us, even those whose lives are not sorrowful, to become blessedly happy by embracing the sorrows of others. That’s the path to living a blessed life. That’s the path to true happiness. - seek to be compassionate. - stand up for what you know is right even if you get insulted and persecuted for it. The “poor in spirit” are the people who are totally detached from worldly things and totally attached to heavenly things. They are the people whose focus in life is serving God and each other, who regard their personal needs as secondary. The “poor in spirit” are found not only among society’s lowliest people but also among its most successful people. We have a fantastic example of that right now in our Pope – Pope Francis; arguably the most famous man in the world. He lives it; he models poor in spirit. In the grandness of the Vatican, he lives simply and reaches out to those who suffer. 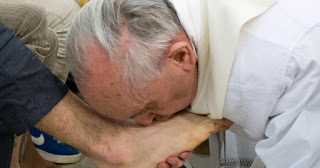 Images of his tender touch for those who suffer are everywhere; washing the feet of men in prison for example. That is being poor in spirit. That is embracing that loving like Jesus loved brings true joy. And whenever you see a picture of the Pope you see the JOY all over him. The Beatitudes of Jesus present a model for finding joy that is contrary to what is usually communicated by the media and by prevailing American wisdom. Let’s not just scape by, read the Beatitudes again at home and open your heart. 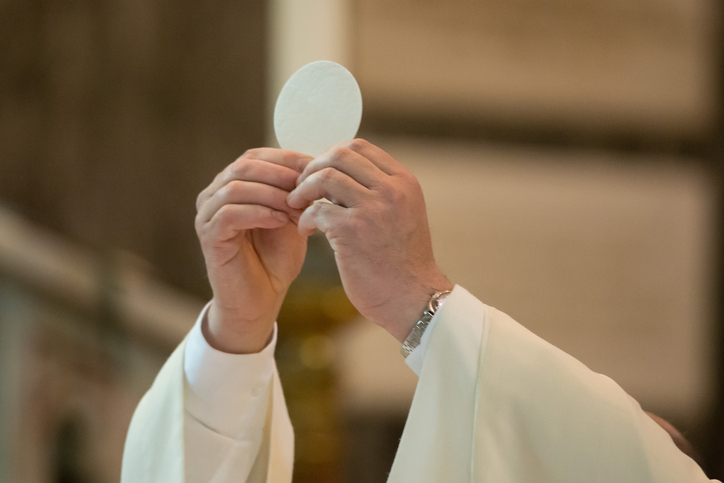 Today ask Jesus to show you how to live them out – every day.